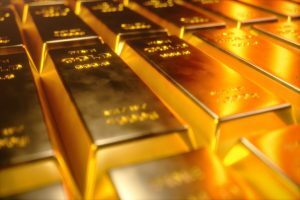 Ronald Stoeferle and Mark Valek’s “In Gold We Trust” is probably the gold investor’s most valuable resource. It has been published for 12 years and is still in much the same format as at its inception. It toes the Austrian School of Economics line, so it is largely gold positive. Williams returns to an updated version of a table (included) that bears another look, given that most reporting only looks at gold in US dollars. Given recent dollar strength, the price in most other currencies has performed considerably better. The table looks at gold in a range of currencies since 2000 and shows that the only down year for gold across the board was in 2013, the year it suffered most after hitting a new high in 2011. The table serves to emphasize the value of holding some gold in your portfolio in your own currency. Holding gold in any of the currencies laid out would have seen average annual gains of between 6.8% (Swiss franc) to 11.6% (Indian rupee). Even in the US, the average annual gold investment growth rate has been 9.7% over the past 18 years. No one should write off gold as a wealth protector despite negative media coverage over the years. This attitude ignores the positives and concentrates almost entirely on the US dollar price, ignoring other currencies completely. Gold in Deflation: Which Wins?